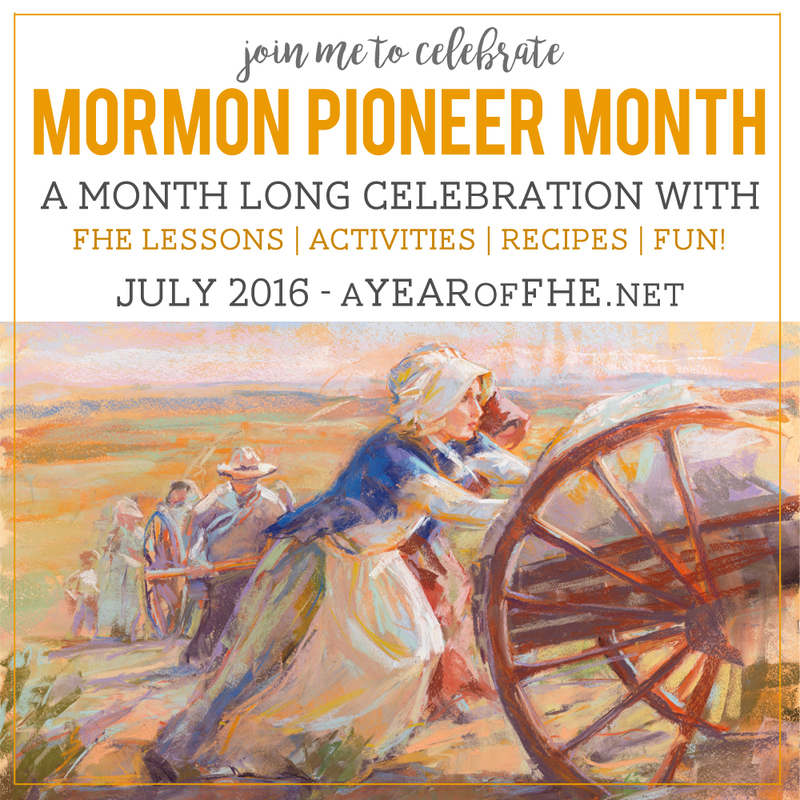 It's MORMON PIONEER MONTH here at A Year of FHE! All month long I am excited to share activities, recipes, handouts, printables, FHE lessons, and FUN...an it's all themed around Mormon Pioneers! 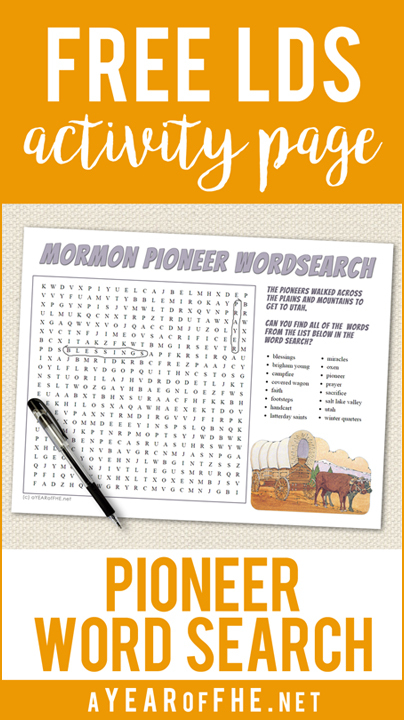 Today's Activity is a Pioneer Word Search for kids. This would make a great activity for Sacrament Meeting, Activity Days, or FHE! Enjoy!